Sandi Blackwell is such a lovely woman. I could not attend Quilt Market this past year so Sandi brought Market to me :) She sent me her newest book and several patterns to review and give away on my blog. 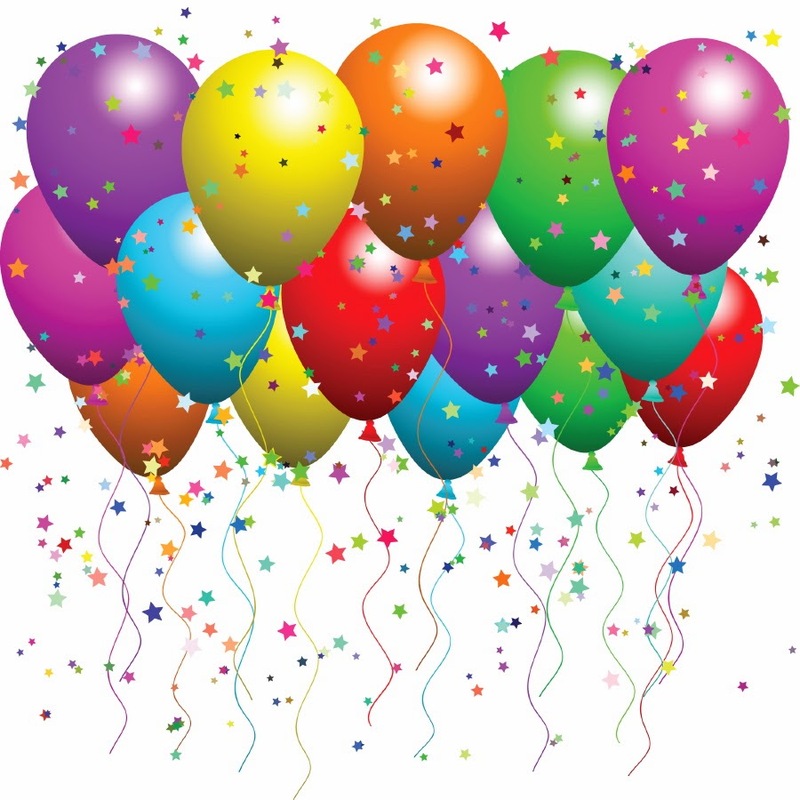 Can I get a loud Woooo Hooooo for Sandi!!! She just ROCKS!!! From the moment I watched Sandi demonstrate how she sews squares together and then turns them into complicated quilt patterns I was blown away. She uses science to make beautiful quilt pattern designs. I have to be honest and tell you that I would not be willing to cut my fabric on a diagonal and sew the bias edges back together again. I have enough trouble keeping everything square and I don't want headaches. I'm sure that is why I was so tickled to see Sandi's method. The diagram on the back of Simply Sensational Square-Agonals Quilts is an excellent visual description of how Sandi manages to turn a bunch of squares into a beautiful on-point quilt. First you sew all the squares together and then you cut them on a diagonal and re-sew those pieces together. Yes, you do have bias edges and I did say I don't like bias edges. Sandi demonstrates how she keeps those edges stable by using her tape. It isn't required to use it, but for folks like me...I'd use it. As I said, you don't have to use the additional Guide Tapes but they are helpful if you are like me and gets things mixed up and wonky. Sandi also provides templates in her book for the Arrow's that you can print and use as well. I assure you that with the visual guides and very well written instructions you can make a beautiful quilt like Strawberry Fields without having to cut all those small bias edges. I just love the Strawberry Fields pattern. It is bright, cheerful and can be made with a huge variety of fun fabrics. There isn't a pattern in this book that I don't like which is a real compliment coming from me. Typically there are only a few quilts in a book that I am drawn to and I'm drawn to every one of Sandi's quilts. Just look at the cover of the book....isn't that just a stunning quilt? 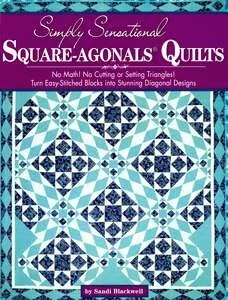 I will be giving away an autographed copy of Simply Sensational Square-Agonals Quilts this Friday to one very lucky person AND 4 other very lucky people will be given one of Sandi's patterns. Sandi has Free Pattern Downloads, you don't want to miss those!!! Jack Blackwell wrote an article that was published in Quiltposium Magazine that you may enjoy reading. IHAN Headquarters has been full with family for several days. Maddy, our youngest daughter, Abby and James (R-L) are visiting ...there has been lots of decorating, arts and crafts, games and of course dress up too. "Momma, are you interested in buying a snack...they are 25cents each?" 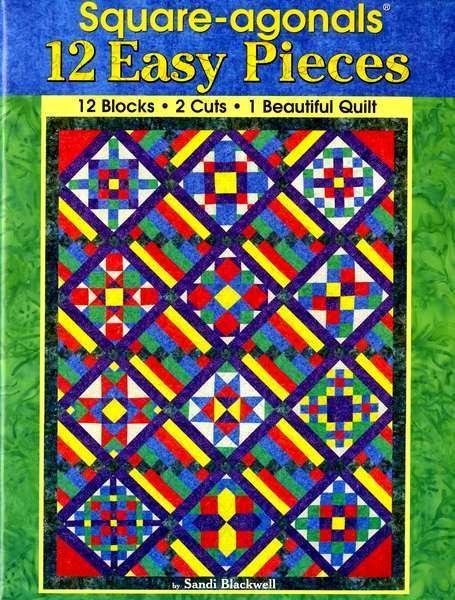 You may remember my first review of Square-agonals (click here if you don't) and how impressed I was and am with Sandi Blackwell's NO MATH method of making triangles and on-point blocks go together without the fuss and muss. Sandi's Square-agonal Method will take you from fabric that looks like the sample on the left to the fabric on the right...without ever setting in a triangle. Since her book has come out she now has some fun patterns and guide tapes. 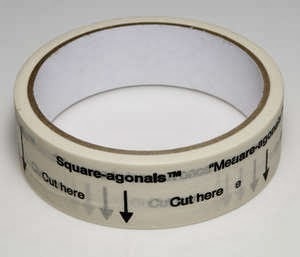 Square-agonals Cutting Guide Tape - gives you a visual guide for the cutting and re-assembling process of your quilt sections as well as securing the bias edges. 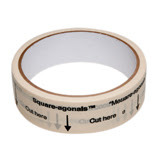 The tape can also be used as a guide for cutting of any quilt or fabric. 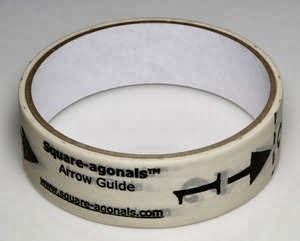 Square-agonals Arrow Guide Tape - makes it simple for you to mark the numbered sections of your layout design. Sandi just so happened to be in Houston for Fall Quilt Market 2011 and look at all the beautiful patterns she bestowed upon me...and another autographed copy of her Square-agonals book. If you leave a comment on this post promising me you will make a quilt/table runner/place mat/etc. using one of Sandi's patterns, I will put your name in the drawing to win. 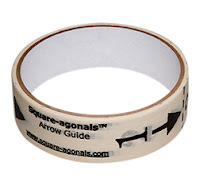 There will be three winners, one for Square-agonals book, and two others will receive a Square-agonals pattern. Entry comments close Monday Dec. 12, 2011. 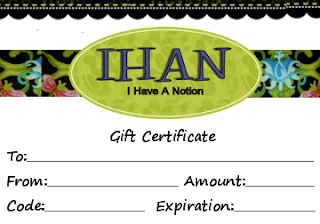 Rad Zach wants everyone to know that IHAN does have Gift Certificates available for holiday gift giving. To see IHAN's Holiday Gift Giving Guide and our other Holiday Specials you MUST enter your e-mail address in the " Newsletter Subscribe Here" on the upper right hand side of this blog post. I love using simple creative methods to achieve complicated quilt patterns. This is one book I have to have. Cbar does not have a blog so when you see this post, please e-mail me at IHaveANotion@yahoo.com with your name and address and I'll get your book in the mail on Monday. I really appreciate all the great comments. It is nice to read the comments and know I'm not alone in my appreciation for Sandi's process. What a wonderful way to teach others how to make quilts set on point without all the fear that most of us have about messing it up. By the way, a little birdie told me about an Electric Quilt Lesson by Benni Harper. It is "Mystery Lesson 10: Sunshine and Shadow" I think all of us with Electric Quilt Software need to throw caution to the wind and have a few minutes to ourselves. I know I want to continue to further my knowledge about my EQ 7 Software and I don't always make time to enjoy learning more about what I already have. I made a commitment to do this Lesson....why don't you join me?